Goal: To create a one page comic about a personal narrative that has strong emotions attached. Despite the emotional tale, I wanted to keep some humour. This was an assignment for the semester previous to this one. Finished around November 2012. 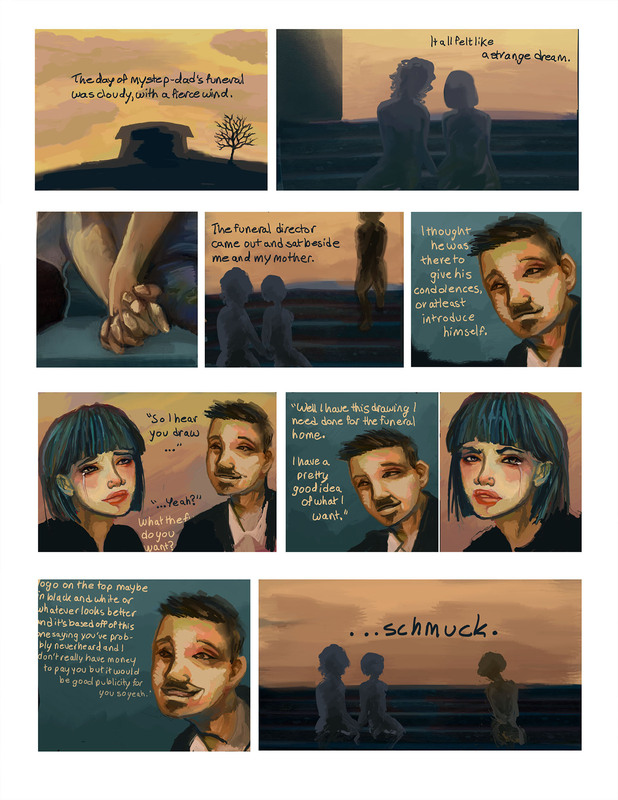 This entry was posted in Digital and tagged comic, death, digital, funeral, grief, illustration, nostalgia. Bookmark the permalink.